See whether your candidate can prospect and close. See how your candidate performs with tasks you sales team needs to do. Cold calling. Explaining product features and benefits. Handling objections. 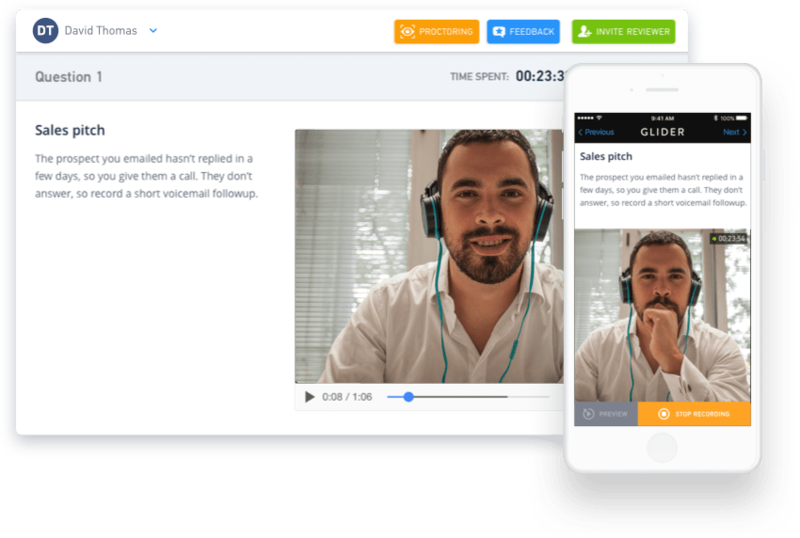 You create the scenarios and watch your candidates’ recorded answers on your time. Clone your best sales interviewer and eliminate bias by asking the right questions of every candidate. Easy to manage, customizable task list shows the question and gives space for feedback on answers. 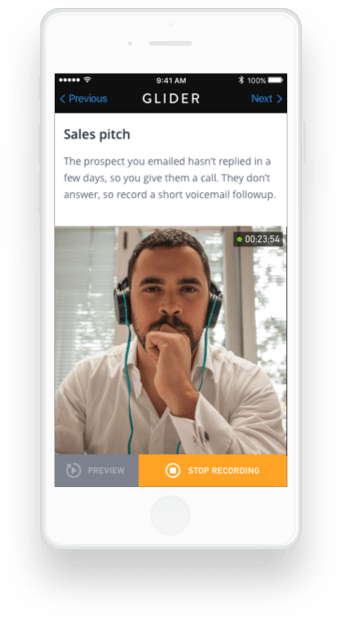 Use video chat or just audio. Find out how skilled your candidate is at typical sales tasks like drafting prospecting emails and preparing quotes with a quick online quiz. 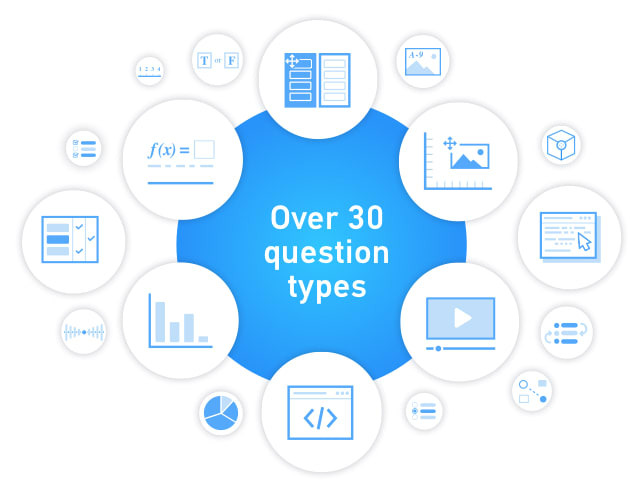 Select from Glider’s bank of pre-built tests or create your own with more than 30 types of interactive questions. Let Glider show you which candidates best match your open position. Intelligent stack ranking weighted by your custom criteria. Put it to work on all of the candidates in your ATS to reveal hidden gems. 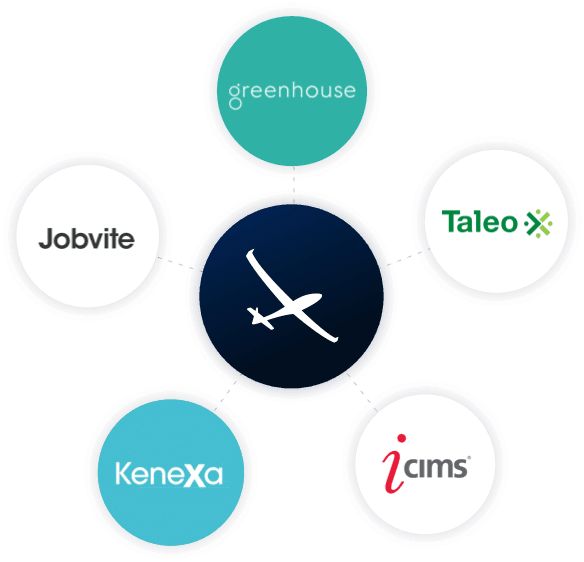 Glider integrates with many Applicant Tracking Systems to streamline your work. 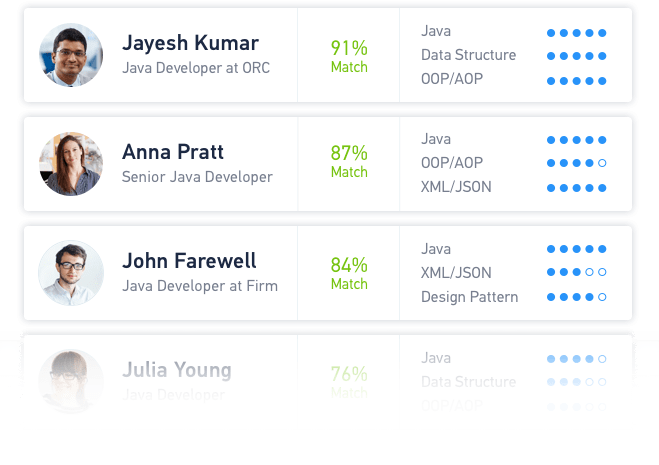 Stack rank candidates in your database, reach out to them automatically and include interactive quizes to see which you should follow up with.